Born in Germany, Edgar Rothermich studied music and sound engineering at the prestigious Tonmeister program at the University of Arts in Berlin where he graduated in 1989 with a Master's Degree. He worked as a composer and music producer in Berlin and moved to Los Angeles in 1991 where he continued his work on numerous projects in the music and film industry ("The Celestine Prophecy", "Outer Limits", "Babylon 5", "What the Bleep do we know", "Fuel", "Big Money Rustlas"). For 20 years Edgar has had a successful musical partnership with electronic music pioneer and founding Tangerine Dream member Christopher Franke. 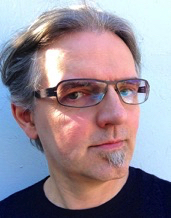 In 2010 Edgar Rothermich started to release his solo records in the "Why Not …" series with different styles and genres. The current releases are "Why Not Electronica", "Why Not Electronica Again", "Why Not Solo Piano" and "Why Not 90s Electronica". This previously unreleased album was produced in 1991/1992 by Christopher Franke. All albums are available on Amazon and iTunes including the 2012 release, the re-recording of the Blade Runner Soundtrack. Besides music, teaching was always a passion of Edgar Rothermich. He started as a tutor at the sound engineering department at the University where he continued as a teacher after his graduation. Teaching, especially in the technical field, always requires the preparation of proper teaching material to illustrate complex concepts and functionalities, and that is where he developed the style that he used later with his books. In 2012 Edgar Rothermich started the “Graphically Enhanced Manuals” (GEM) series, technical manuals that focus on rich graphics and diagrams to explain concepts and functionality of software applications. Not only the practice of writing classroom material, but also the experience of reading countless (often really bad) user manuals, especially when working for Christopher Franke and being confronted with his arsenal of synthesizers and computers, had a big role in developing these popular books. The overwhelming response from readers (students and teachers) proved that he was on the right track. His bestselling books are available as printed books on Amazon, as Multi-Touch iBooks on Apple’s iBooks Store and as pdf downloads. Edgar Rothermich started working with computers in the 80s with his first Commodore C64, then the Atari ST1024, until he could afford his first Macintosh SE 30. Since then, he is a devoted Apple enthusiast. 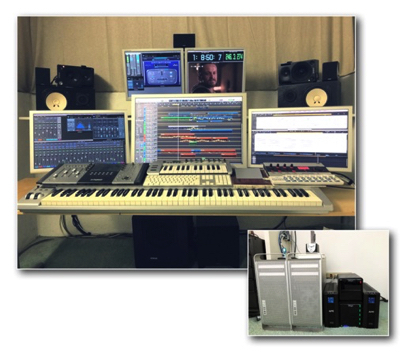 Coming “late to the party”, he switched to Logic Pro in 2005 and fast became one of the respected power users in the Logic community, sharing his expertise in his Logic books and his blogs, helping other Logic users through personal training and his presence on various online forums.